God damnit, why. Why dont you want my money? Who would even want it? It's a really crappy face on an epic figure that just ruins the whole dynamic. order the standard version of X. get some high quality model paint, and the proper paint brushes and painting supplies. prepare a screwdriver. paint your X, and all the while, keep taking pictures and document the process so that other people can do it too. problem solved. now you don't have to pay import fees. you're welcome. You all better hope that Bandai doesn't get lazy and decide to drag this franchise's lifeless corpse around by making nothing more than X variants. How do we feel about shoulder cannons? A lot better than we do about seeing another X with a different paint job. So basically i would end up paying double the price just to modify one. 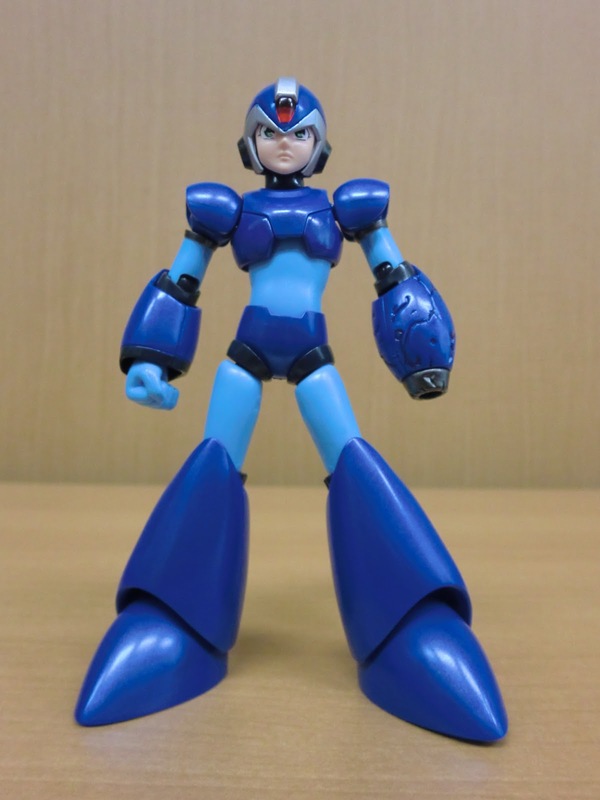 The reason they are making X variants is because X is the main character. he always gets pushed to the side in favor of Zero, and im glad he's getting his just dues. a regular version, special edition metallic regular version, armored version, and a special edition manga version. @ProfeesorMegaMan: So you like Shoulder Cannons? Then meet, Shoulder Cannon Megaman X! he comes with two shoulder cannons in multiple shades of blue! Pretty standard stuff for Tamashii nations, it seems. Just because you don't like it doesn't mean everyone doesn't like it. I know you Megaman fans can't understand this concept easily, so don't think too hard on it. Nope. This is a premium figure, sold in limited quantities. That's what the post is implying: it'll be way more expensive and not available on a wider basis like previous D-Arts. This figure is nice but I honestly don't think it's all that great, and it's kind of redundant given the offerings we've already received. As much of a figure diehard and importer as I am at times, I'm content with the normal X and full-suit X figures we've already gotten. I have enough experience collecting to know that if you truly want to have EVERYTHING, you'll just go nuts. This is a pretty low thing to do to us westerners. It's not like we got an exclusive variant of this figure that was only available at an event . . .
As much as I would love this one, there's no way I can afford him. I didn't even afford the one I DID get. It was a gift from a friend who had another friend who got to go to Comicon and got a SDCC exclusive shiny-X for me. He's been out of his box a whole one time. And until I get my curio cabinet in order, that'll be where he stays! Seriously, though.. I would buy him just for the new faces, and slap them on shiny-X.